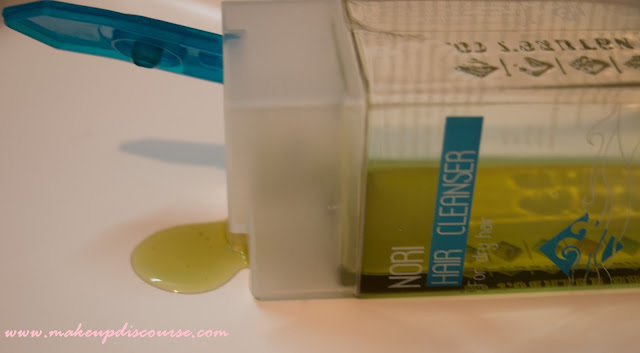 The Nature's Co Nori Hair Cleanser: Review & On being Cruelty-Free and SLS Free Shampoo. I picked this from their store in Palladium somewhere in 2014 when I embraced 'No shampoo' method. While I was checking their products, I took a brief whiff of this one and I bought it, thoughtless only later I did realise this is unlike shampoos I have used. 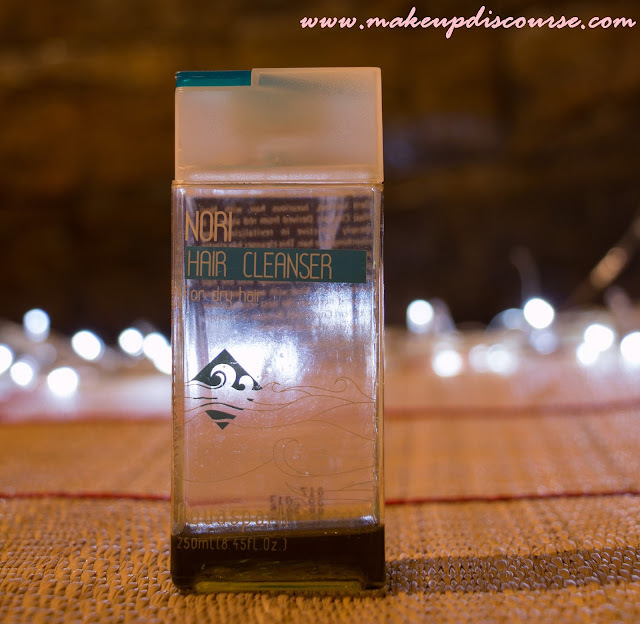 Initially, when I was using the Nori Hair Cleanser, the results were vague. My hair remained dull, lacklustre and dry mostly and they would tangle. I assumed that this variant is not suiting my hair. I decided to use this one for 10 more days and after a week; I started to notice a difference in my hair scalp and volume. My scalp would stay squeaky clean and non-oily up to three days, usually, my scalp turns oily within a day. And the lustre bloomed, wash after wash. After 30-45 days of continuous usage (every alternate day), I noticed my strands were silkier and appeared thicker and if I left them loose, there was noticeable volume. Except all this, I love the soothing fragrance in my bath. I find it refreshing and nerve soothing. I did not use Hair conditioner with this shampoo; I would use two-three drops of Jojoba oil on my hair ends. I sported bangs back then and would tie my hair back into a ponytail. My crown area lacks volume and my bangs would create havoc with being unruly. My strands were more defined and bouncy; I had less bad hair days. I was dubious about the W/S base so I dropped an email regarding the same to The Nature's Co team and here is their reply. Our shampoos don't contain any Parabens or chemical preservatives. We do use naturally derived surfactant from Coconut Oil as the main cleanser though a small amount of Sodium Laureth Sulphate is used in the product for compatibility with the viscosity modifier, as alone it is difficult to get good viscosity. Coconut oil based surfactant imparts cleaning efficacy since it is a mild surfactant and is considered safe to be used in the product. Also, our Conditioners are free from Parabens or Silicones. Apart from above we are not using any other synthetic chemicals or preservatives which are not considered safe to be used. I used clarifying shampoo when I would oil my hair and Nori Hair Cleanser every alternate day, No conditioner and no silicone based serums. I am still dubious with respect to ‘Coconut Oil based surfactants’ and this is a cross between Soulflower soaps & Tresseme Shampoo for me. You can google about the same but as per my research the surfactants are mild SLS based surfactants. I have tried Soaping and I am aware of the results. I do switch to Tresseme only on days I heat style my hair to avoid tangles and breakage. This does not easily adapt to the ingredient/product changes in my daily routine. 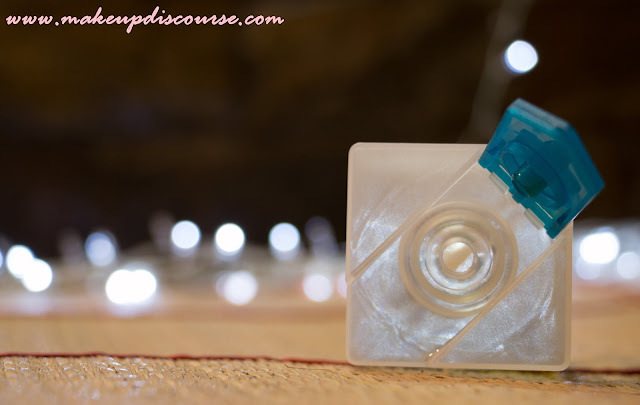 Though the price is steep, you can check out for discount or sales. I did get mine for 10% off. And most/all of The Nature’s Co products are Vegan as well. Recommendations: I love the results but then the deceptive ingredient list withholds me from repurchasing. I emptied this in October and I have already switched to Soulflower shampoo bars for life. And the tedious routine is worth for lifeless and thinning hair like mine. I would repurchase only if they list down the exact INCI names.